"Ramalina Silliquosa" on Old Red Sandstone. 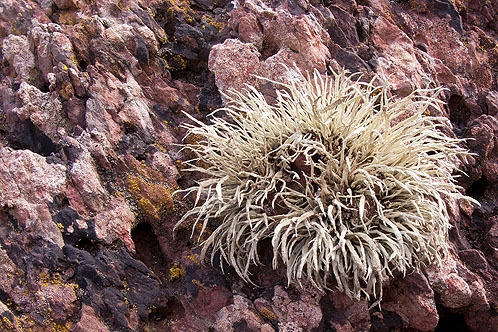 Also known as 'Sea Ivory', is a branched Fruiticose or 'shrubby' tufted lichen , attached to the rock only at one point. Generally abundant on exposed, hard coastal rocks , often covering whole faces of rock in a sward .